Security systems in Sydney ensure that both your loved ones and your property are kept safe from harm, and are invaluable for a homeowner’s peace of mind. But shopping for them can be confusing. With systems ranging from the most basic to the truly elaborate, what does a quality system look like? One that will provide excellent protection, without having needless add-ons? 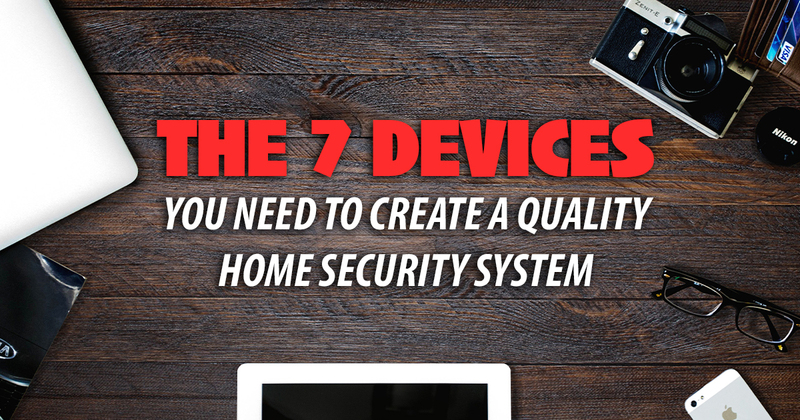 Let’s take a look at the 7 devices that you need to create a modern and comprehensive security solution for your home. Entry points are your first port of call, as these are the places most likely to be targeted by intruders. Door and window sensors form your system’s first line of defence, and notify you when a door or window is opened. Whether inside or outside, cameras offer a fantastic deterrent to would-be intruders. They are also ideal for capturing evidence that may help to put a criminal away. A huge variety of cameras are available for all situations, and the feeds of some can now be sent straight to your smartphone. Generally positioned inside your home, motion sensors perceive when an intruder gains entry by detecting movement through the use of vibration, ultrasonic, microwave or infrared sensors. Ideal as both a deterrent for the intruder and an alert for the homeowner, a high-decibel alarm is effective in getting the criminal fleeing the scene, and the occupants aware of an unwanted visitor’s presence. The control panel is the brain of your home security system. All information provided from the connected sensors and sirens will be sent back to this unit for processing. The control panel absorbs the information and then displays the information on the keypad or where back to base monitoring is connected sends the information off to the Control Room as necessary. The keypad is also used to arm and disarm the system and to program and set up the alarm system. The keypad is usually placed near the home’s main entry point. A relatively new technology, electronic door locks offer a way to ensure – via your smartphone – that your doors are locked at all times. Any odd activity is sent straight to your phone as an alert. All of this technology obviously requires a WiFi connection, which all modern homes have. But don’t worry, these systems have been designed to work in the event of a power outage! Are you looking to install or improve a security system in your Sydney home? The experts at Red Handed Security are ready to help! Give us a call today on 1300 13 40 33.